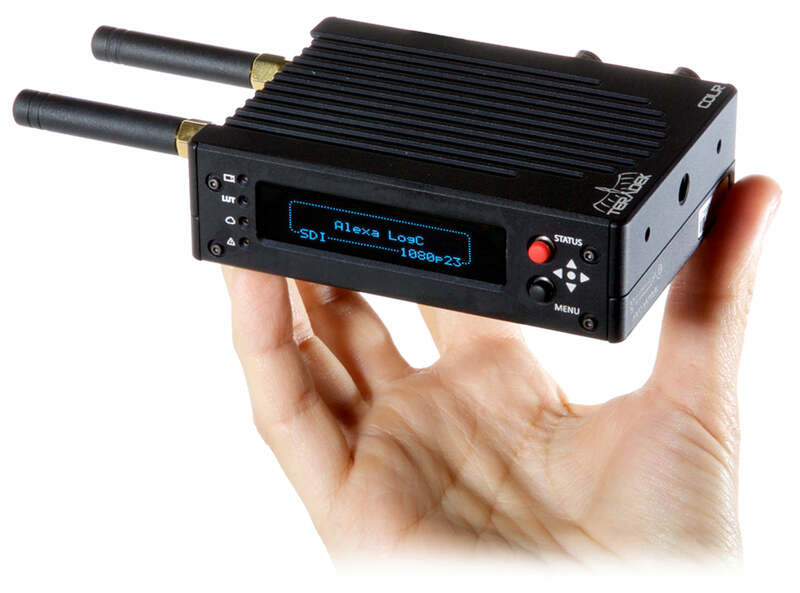 COLR is a real-time LUT box, camera control bridge, and HDMI/SDI cross-converter in one tiny package. COLR integrates with Pomfort LiveGrade Pro, allowing DITs and colorists to give everyone the right look. During camera prep, on your cart, through color timing or on camera, COLR enables directors, ACs, and DITs to see what they need. Multiple presets, combining CDL and 3D LUTs, can be stored on the device for quick conversion or custom looks at the touch of a button. For even more control over the look of your footage, COLR Duo offers two fully configurable SDI outputs, allowing you to display two independent 33pt 3D LUTs or even the same LUT across two monitors. 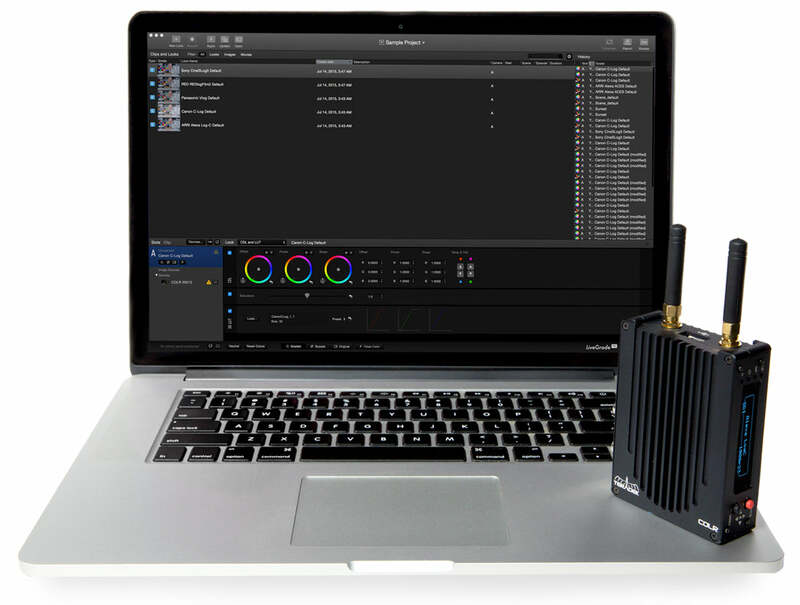 COLR is integrated with Pomfort LiveGrade Pro, giving you fine control over your LUTS using WiFi, Ethernet, or USB. Each LUT can be sent to COLR and applied to your image immediately from within the application. Whether your production requires industry standard color and gamma-accurate monitors or large consumer-grade screens, COLR is compatible. 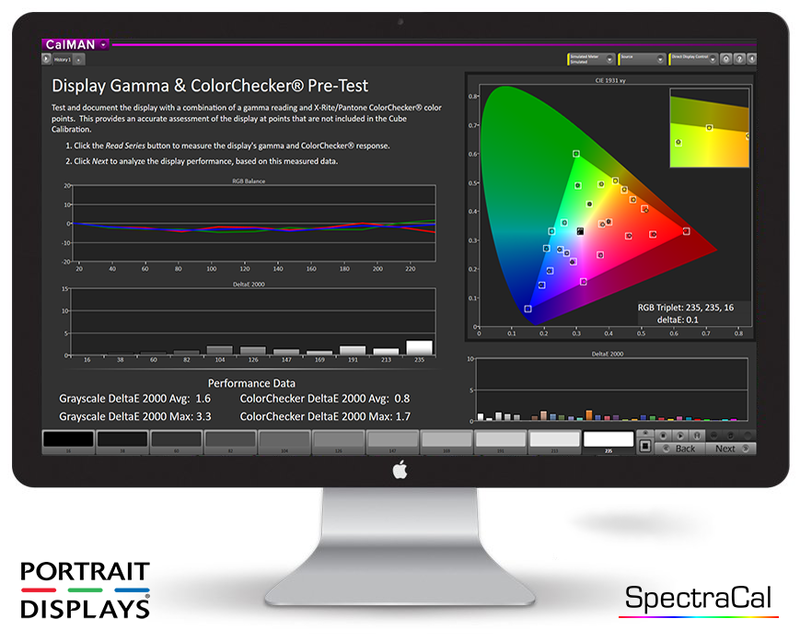 With SpectraCal’s CalMAN software, you can use the COLR and COLR Duo to calibrate a video display with a 10-bit 33pt 3D LUT. To learn more, visit the CalMAN Setup Guide. With COLR as a piece of the puzzle, the Connected Set initiative encourages seamless integration between all Teradek products, ultimately streamlining on and off-set workflows. This will support a consistent workflow throughout the production process, whether on-set with zero delay transmission, iPad monitoring, or for off-site dailies review and final color grading. 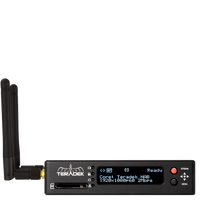 Stay ahead of the curve via free firmware upgrades and native integration with other Teradek products including Bolt and Cube. COLR supports just about every camera signal on the market -- from GoPro to ALEXA. RAW or LOG signals can be converted for monitoring, and every camera’s look can be synced to show directors their vision while shooting. COLR also enables wireless camera control for Ethernet-enabled cameras, including FoolControl for RED digital cinema cameras and ARRI packages. With multiple presets built-in and support for up to 16 custom LUTs, COLR can display the “look” you’re going for at the touch of a button. Each 33-point 3D LUT can be individually crafted with your unique CDL or 1D LUT. All COLR models support 10-bit color depth, ensuring your monitor is displaying an accurate representation of your graded image. COLR can remotely configure and control ARRI, RED, Panasonic, and Motion Research (Phantom) cameras. Once COLR is connected to your camera’s Ethernet or USB port, navigate to COLR’s IP address using your laptop’s web browser to begin wirelessly managing your camera’s settings. Leverage the power of FoolControl for RED cameras by using COLR as a wireless bridge.